The people have spoken, and we have listened! If you are one of the many people that have called or emailed us in the past asking for a network license for Strater, we are proud to be able to say "Yes!" - this option is now available to you. Moving in the same direction as our Surfer and Grapher software, we are excited to announce the release of Strater 5.5, which adds the flexibility of concurrent licensing as well as fully-functioning, time-limited trials. 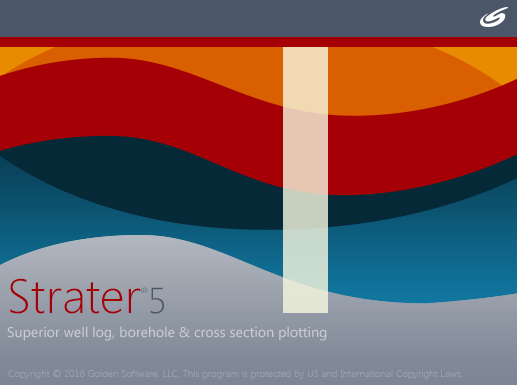 Strater is our well log, borehole, and cross section plotting software package that allows you to easily convert your data into one of 15 unique log types, show the subsurface exactly as it is, and plot realistic geological cross-sections. Virtually all aspects of your logs, maps, and cross sections can be edited to provide the exact output that you need. Strater's easy-to-use interface creates professional, publication-quality borehole and cross-section graphics. Concurrent-use licenses, also known as network or floating licenses, are one way your company can maximize access to Strater while minimizing costs. In today's environment, software tools play an important role in streamlining workflows, analyzing and locating opportunities, and assisting in the decision making process. 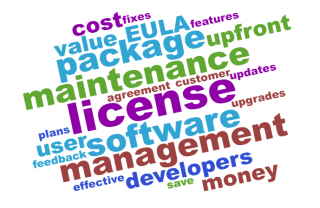 Concurrent-use licenses increase productivity by ensuring users have access to the software tools when needed and improve efficiency by limiting the number of unused licenses. You can easily share your concurrent licenses amongst all users in your organization, and have the ability to check out licenses for those times when a user won't have access to the company network. ​Single-user license: For Strater users who use the program often, for users who spend a lot of time in the field, or for those that just don't like to share. Do you work in a small organization, or perform consulting services? A single-user license may be perfect for you. ​Concurrent-use license: For organizations with multiple Strater users. This license maximizes access to Strater while minimizing the cost. You can read more information on the features of concurrent license here: Why Should We Move To A Concurrent-Use License? Current owners of Strater 5 single-user licenses can convert to a concurrent license for $450 USD. New concurrent licenses are priced at $899 USD. You can view all our pricing and licensing options here. If you or your company are interested in making the move to a network licenses, or wish to update a current Strater 5 license to Strater 5.5, please email our support team at sales@goldensoftware.com. If you've never used Strater, or are currently running an older version and would like to try the latest version, you can download a free trial here.